Just when I thought I was out, they pull me back in! 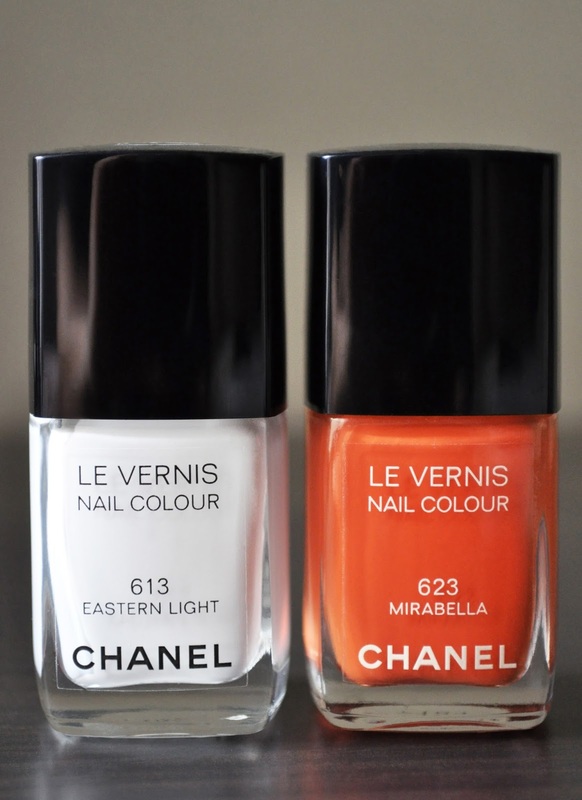 Overall, I have a great love for Chanel's winsome, and often times, enticing shades. However, that's not to say that I'm never disappointed with the formula, finish, and the performance of some of the brands polishes...which recently, has been the case. When it comes to high-end polishes, expectations and demands are much shrewder and less forgiving. When the Reflects D'Ete de Chanel polishes were released, I was going to pass on the entire lot. But, Mirabella kept nagging me, then Tutti Frutti, and so one...until finally, I purchased four of the five polishes. 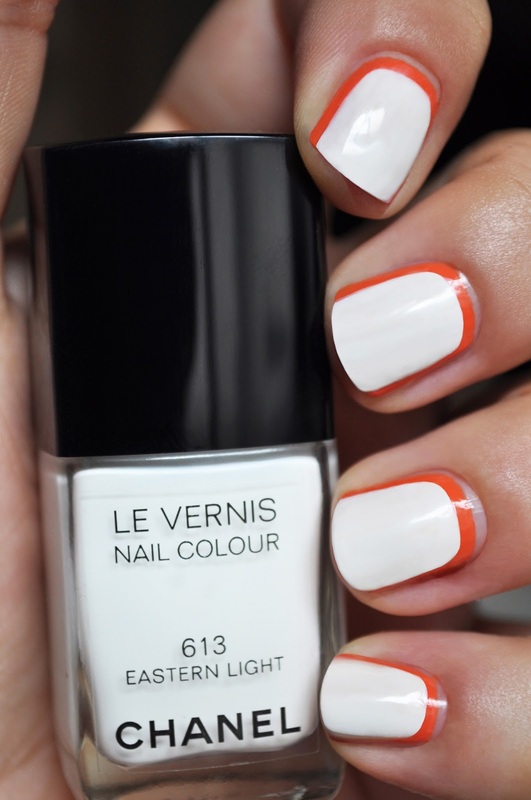 613 Eastern Light is a crisp, "liquid paper" white, with a creme finish. I had very low expectations for this polish. Although there were minor issues with unevenness and streaking (which was corrected after two coats), Eastern Light is a very pretty, glossy white nail lacquer. I loved the Reflects D'Ete de Chanel manicure promo image that showed Mirabella layered over Eastern Light (don't be surprised if you see it pop up on the blog). To conceal Mirabella's tip wear, I reversed the pairing, and layered Eastern Light over it. The end result: an accidental resemblance to 1970's vintage home decor, and I like it..the manicure, not the home decor. 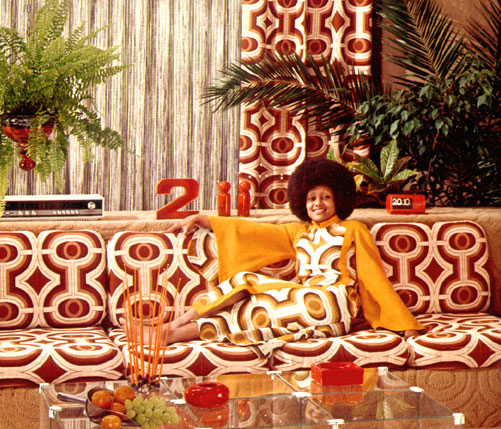 The 70's version of Scarlett O'Hara. 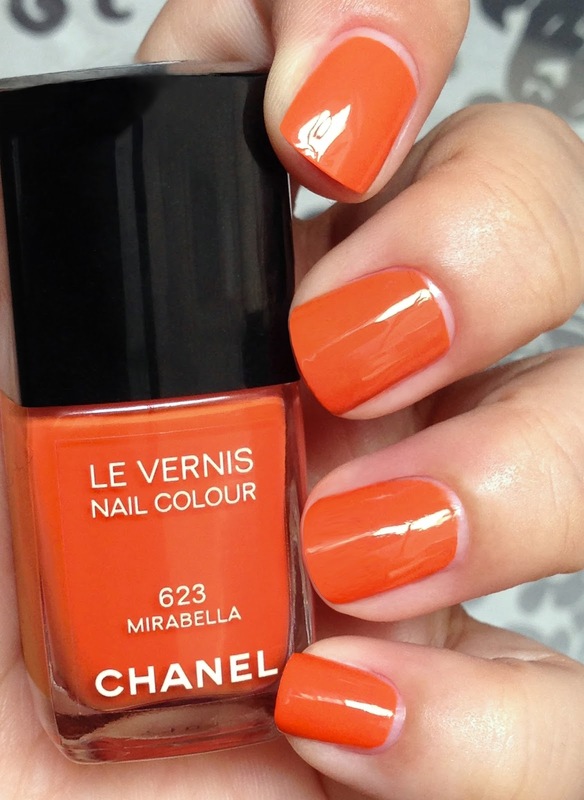 Did you try to recreate Chanel's Reflects D'Ete de Chanel manicure?